I’ve been thinking about this post for a while. Since finishing up with the NA6 interior really. Sharka has just felt so… good. Right. Perfect. Everything is exactly how I want it. 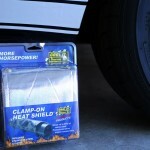 Sharka and Bucky both got a new treat from Garage Star – delrin door bushings. They may not look like much, but these little pieces completely transform the Miata chassis. 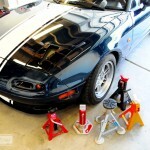 Part one of the revlimiter.net Mega Jack Stand Review. In this episode: the Harbor Freight 3 ton stands, the Torin 3 ton aluminum stands, and the ESCO 3 ton tripod stands. Do you believe in a Forever Car? 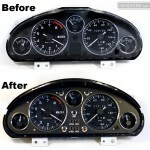 A fairly random and gushing review of the discontinued KG Works Independent Look Gauge Cluster. This is a holy grail for me. I’ve wanted one for a long long time. And now I have one. Read on for the full review. 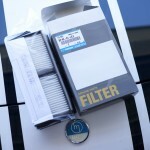 Mazda designed the cabin filter in a first gen Mazda 3 so well that it requires 1300 words and 19 photos to show how to replace. Come on in and see the insanity for yourself. 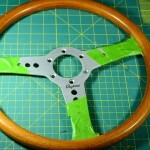 This is sort of a required step on my road to hardtop-only motoring. It didn’t seem like there was much information out there on this. There’s a ton of pages dealing with Miata soft top replacement, but not much on how to make a car look good with no soft top whatsoever. So, if you want to lose 37-42 lbs and turn your roadster into a speedster, read on. 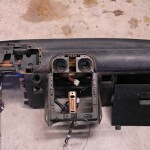 In this post, I repair and restore a 20 year old Miata dashboard from the 1.6 liter era. It took me a week and there’s a twist at the end. Check it out. Clutch maintenance time! Everything but the clutch itself. A complete Miata clutch master and slave cylinder swap lies within. I started restoring this dash last summer. It is now winter. 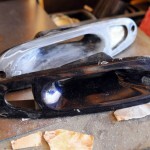 That’s how motivated I was to keep going after I cracked the dash with my own repair process. 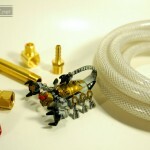 700 words on replacing a broken air compressor drain valve with a totally awesome ball valve. Because what’s better than spending $30 to fix a $3 broken part? Not much, my friends, not much. Except for doing all of this with the help of a small robotic scorpion. A couple weekends in the garage, some bondo, and some scooter turn signals? What could I possibly do with these ingredients? Turn signal intakes! Got a smelly trunk? How about a lot of excess pressure in your gas tank? 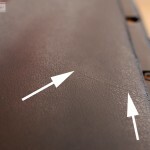 This post might be just the thing to fix you up. Maybe. I hope. 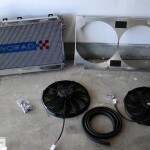 Yet more cooling system upgrades and tweaks. Thought I was all finished with my coolant reroute? Nah. I’d barely scratched the surface. 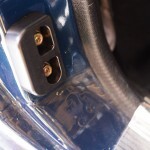 A full installation and review of the MiataRoadster short shift kit. I don’t mean to spoil things, but it’s fantastic. You need one. 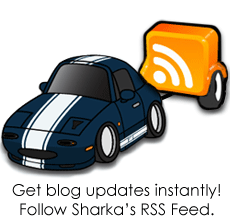 There’s a Sharka wearing Star Sharks at the end of this post. Within this post, there be pony. My Little Pony, in fact. Those not man enough to enjoy some pastel gauges should spend their mouse clicks elsewhere. My family has a new member. And for the first time, she doesn’t have four wheels or four feet. 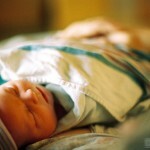 I’m beyond proud to show off my new baby girl here on my blog. And her room!